My sisters and I work hard to overcome our geographical separation and get our families together at least once a year for a vacation or a family visit. 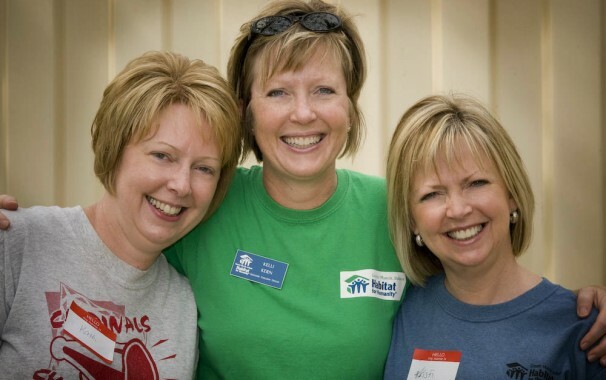 This year we decided to get together for a summer reunion in Muncie, Indiana, and help with Habitat’s Faith Build, where volunteers from area churches were getting together to build two houses side by side in 7 days. My sisters and their families had never been part of a Habitat build. One sister and her family drove over from Ohio, and a second sister flew with her family up from Houston, Texas. It was an awesome week of sweating together, working side by side, getting to know the partner families and volunteers, and celebrating two beautiful new homes that were dedicated at the end of one amazing week! 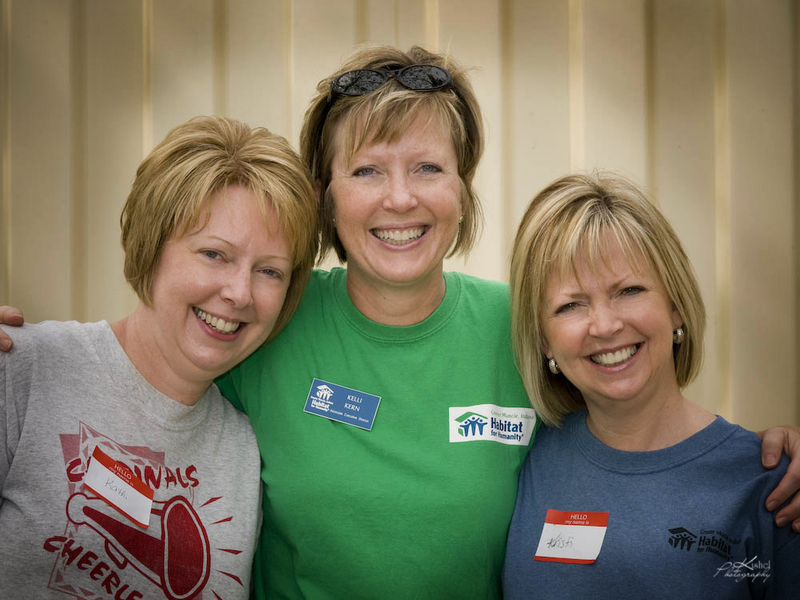 We have wonderful memories and lots of great photos to look back on and remind us of our Habitat reunion!